Our resort hotel is your natural choice for your weekend get-away, holiday and even for your retreat. 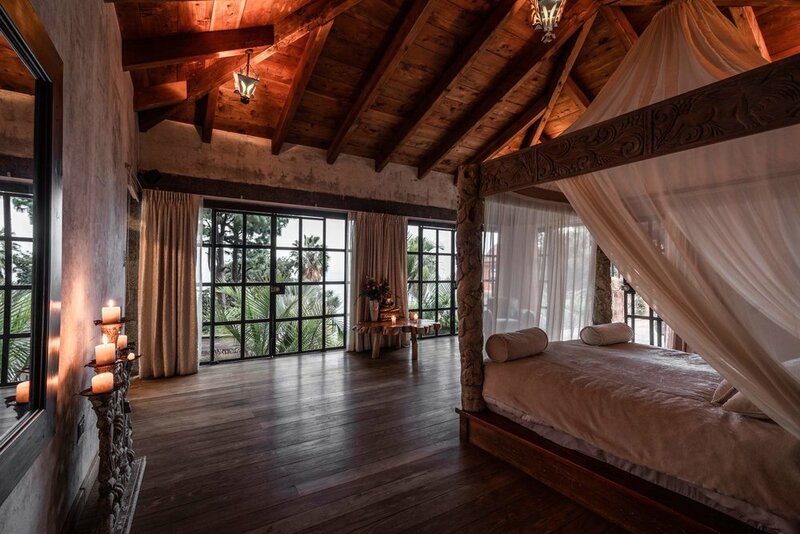 Whether simplicity or elegance, Casa Prana is about your own experiences of the present moment. Unique and versatile, Casa Prana will bring your imagination to life. 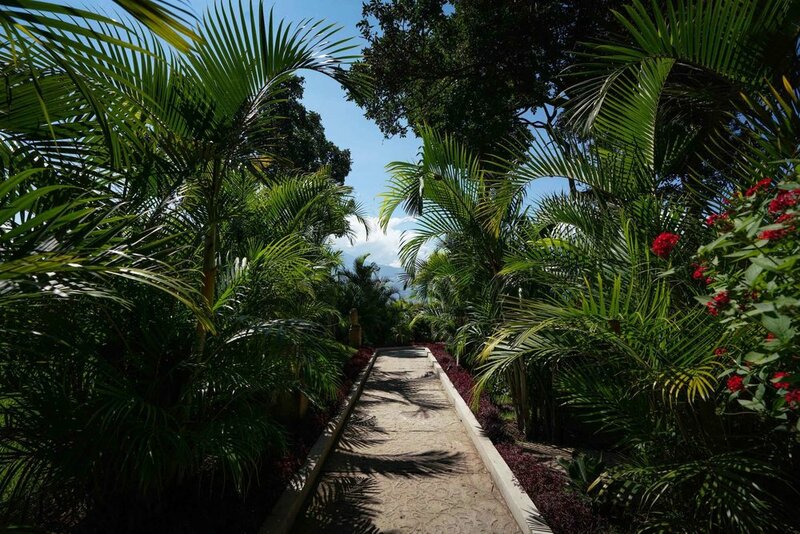 Stroll through our 9 acres of gardens of natural beauty, with panoramic views of the magnificent Lake Atitlan and its surrounding volcanoes. Book the hotel exclusively for you and your party, or book individual accommodation in one of our 8 suites. Our facilities are ideal for a variety of retreats. 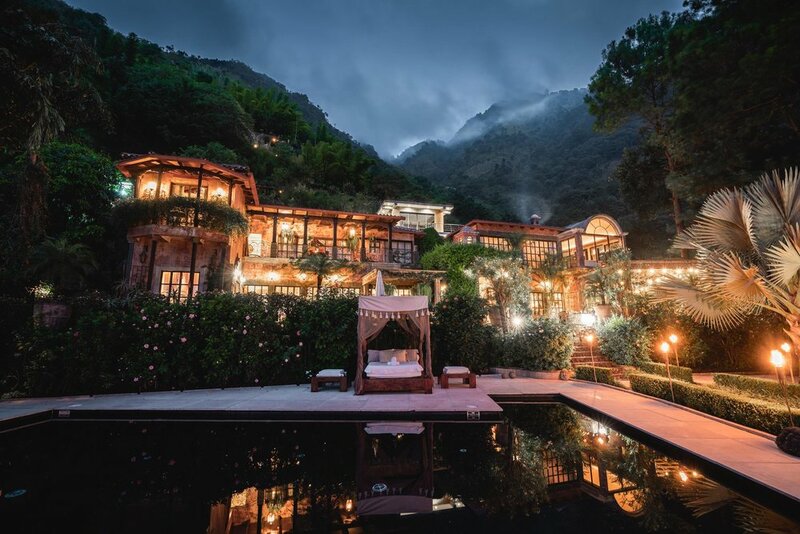 Privately located in the Mayan Western highlands on Lake Atitlan, Guatemala, the hotel has no vehicle access. Boat transport, helicopter and walking are the only ways to reach to the property. The hotel is located ca. 2.5 hrs from Guatemala City by car or 30 min with helicopter. There is no vehicle access to the property. Boat transport, helicopter and walking are the only ways to reach Casa Prana. Our private launch will pick you up in Panajachel upon arrival. The property rises steeply behind the villa with walking paths up the hill to provide stunning views of the lake and the volcanos. Casa Prana is approximately 2.5hrs drive from Guatemala City International Airport (GUA) and 2hr drive from Antigua. Car service is available to all guests upon request transferring to and from all destinations in Guatemala. For further information and pricing please email info@casaprana.com or call +502 53610270 / +502 3148-0657. The dry season in Guatemala extends from November to April. The rainy season is between May and October. While there are frequent showers during the rainy season, these often last only a short time and are followed by sunshine. The weather is warm during the day and cool in the mornings and evenings most of the year. Spanish is the official language in Guatemala, while English is mostly only spoken in hotels and restaurants. The Guatemalan Quetzal is the local currency, but US dollars are also accepted. Major credit cards are accepted in larger establishments and ATM machines are available. Casa Prana can assist private helicopter transfer to and from Guatemala City International Airport and other destinations in Guatemala. Flight time from the airport is ca 30min. Pleas email info@casaprana.com for further information and pricing. Light clothing is appropriate with pants and a sweater or jacket in the evenings. Sports shoes are suitable for light touring and a wide-brimmed hat is always recommended during the day. Legs, shoulders and upper arms are recommended covered when visiting places of worship. The air humidity is low for the most part, so expect to use a lot of moisturiser. Guatemala is 7 hours behind GMT. The electrical current is 110 volts, which is suitable for US appliances. However, at Casa Prana you can also utilize 230 volts (EU plug) in the Villa accommodation. The beautiful lake Atitlan is a dramatic beauty formed as a result of a volcanic eruption. According to geological history, the area was once an immense volcanic mountain that blew its top off some 85,000 years ago in a massive explosion. The discoveries have revealed that its ashes and rocks have been found as far south as Panama and has produced world wide climactic effects. Today's the lake is an actually the crater of a massive volcano. Followed by the big explosion, three towering volcanoes formed, the Volcano Tolima, Atitlan, and San Pedro, reaching up to 3357 meters above sea level in the southern shores. These three majestic volcanoes are joined by the Cerro de Oro, reaching approximately 2430 meters above sea level. Lake Atitlan is well known to be one of the most beautiful lakes on earth, surrounded by the Kakchiquels and Tzutujil Mayan culture.